I was invited to an interesting event last week in my home town of Halifax. Being that I consider myself a lobster connoisseur (I have even made a video about the best lobster rolls in Halifax) I was excited to attend. McDonald’s invited me to the 25th Anniversary kitchen party celebration for the McLobster! What is the McDonald’s McLobster you might be asking? Yes it is exactly what it sounds. Lobster on a bun at McDonald’s. One of the many tasty Lobster sandwiches sold in the maritimes, this one is from Boondock’s in Eastern Passage, Nova Scotia. 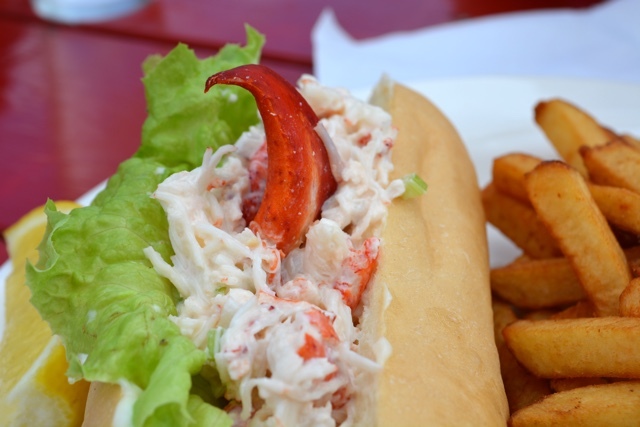 If you aren’t familiar with a lobster roll it is a popular food eaten on the east coast of North America from Maine to Nova Scotia. It is essentially a less classy way to eat lobster I suppose? Ditch the fancy meal and eating it with butter in the high end restaurant, instead chop it up, mix it with some mayo and perhaps some green onions and/or celery, add a drizzle of butter and throw it on a bun. Yes it is pricier than a hotdog or hamburger but since the east coast has such an abundance of lobster it is a lot cheaper than you might think and of course is extremely fresh. 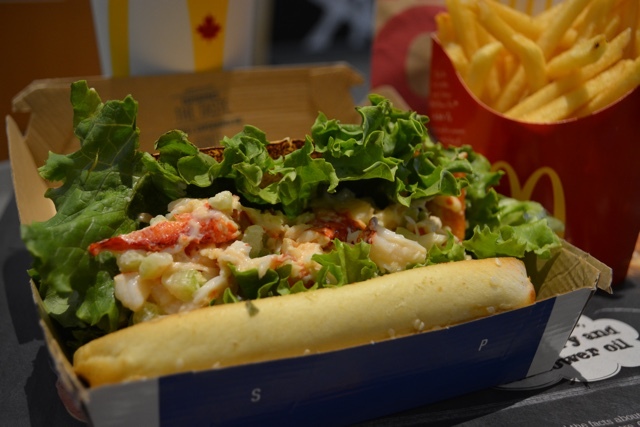 The McDonald’s McLobster is $7.99 Canadian and if you were to get one at another restaurant in Halifax it will run you anywhere from $8 to $20 in most cases. I myself was surprised to learn that this was the 25th anniversary of the McLobster. 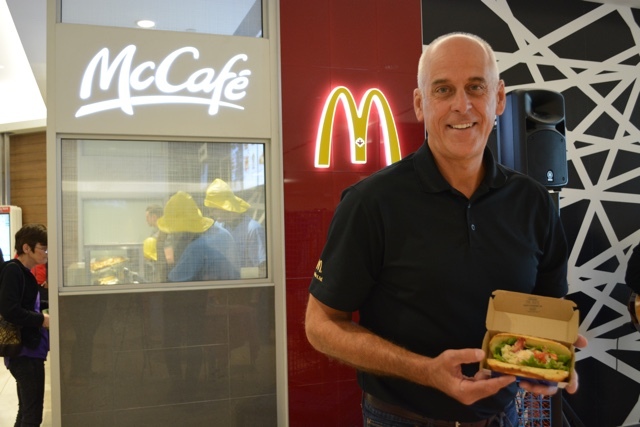 While there, celebrating its 25th, year I had the chance to sit down with franchise owner Dave Murray who also happened to be one of the first to test out the McLobster at his restaurant in Moncton, New Brunswick when he was a manager there back in 1991. 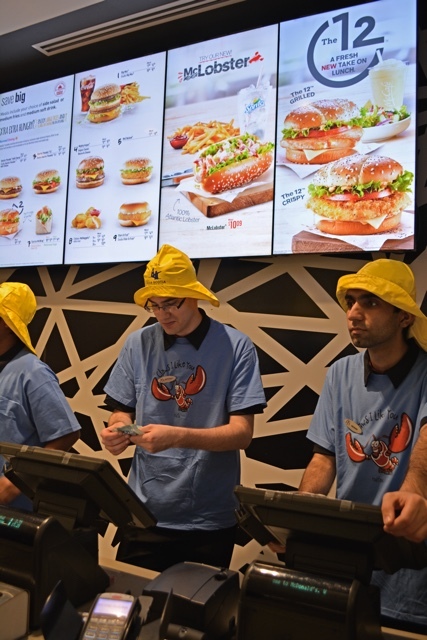 McDonald’s employees wear fisherman’s hats known as Sou’westers and lobster shirts to celebrate the 25th Anniversary of the McLobster. Dave told me that a friend of his who was also a franchise owner, Gerry Moore and his son who was also a McDonald’s manager at the time had been talking with a few tourists from New York who asked why if lobster was so popular in the maritimes that it wasn’t on the McDonald’s menu? Gerry was inspired and had connections in the lobster fishing industry. He came up with the McLobster and tested it out at several properties along with the location that Dave was the manager of. 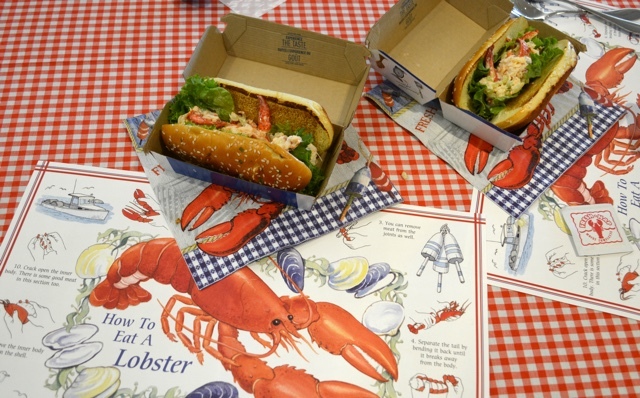 McDonald’s liked the idea and success of the product as a seasonal item and the McLobster was officially born. I also learned that having franchise owners come up with menu ideas like these are one of the many ways that new menu items are created. Dave also mentioned that the McFlurry was invented by a maritimer as well and now it is sold worldwide. Thats pretty cool! A McLobster dinner for two! Dave also told me some insider information. 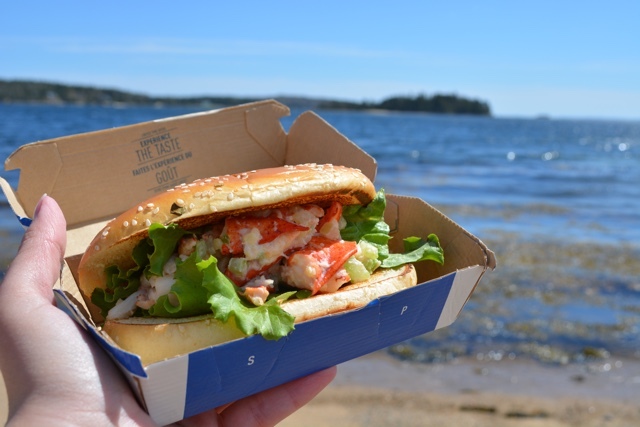 The McLobster typically comes out at the middle to end of May and they say is in stores “while supplies last”, so there is never an official end date and some McDonald’s may run out of them sooner than other. Dave specifically orders more lobster than the average McDonald’s so his stores will often have the McLobster from May into September. 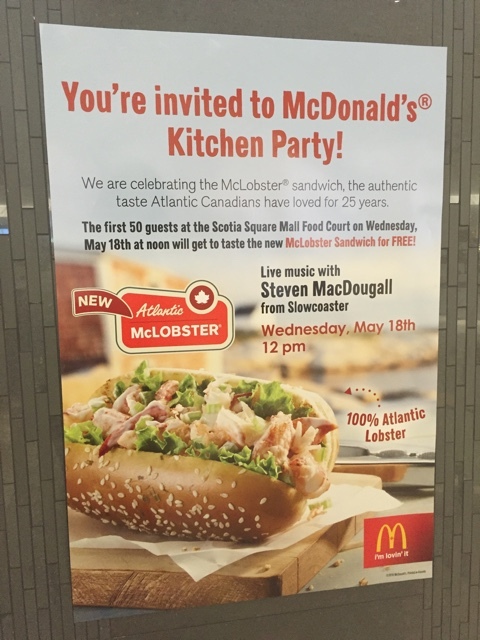 Because of that your best place to get a McLobster in Halifax is at the Scotia Square location, the Tantallon location at exit 5 on highway 103 or at the Spring Garden Road location. At the event I was also able to speak to Nicola Pitman who is McDonald’s Canada Menu Management Director. I learned from her that menu items like the McLobster are changed and tweaked each season after various feedback is received. Last year I remember the McLobster being quite lemony and she told me they had had a lot of feedback on the lemon taste so this year they toned it down and added a drizzle of butter as well. They also created a new lobster roll McLobster bun for the 25th anniversary and added sesame seeds and chive to the top of it. 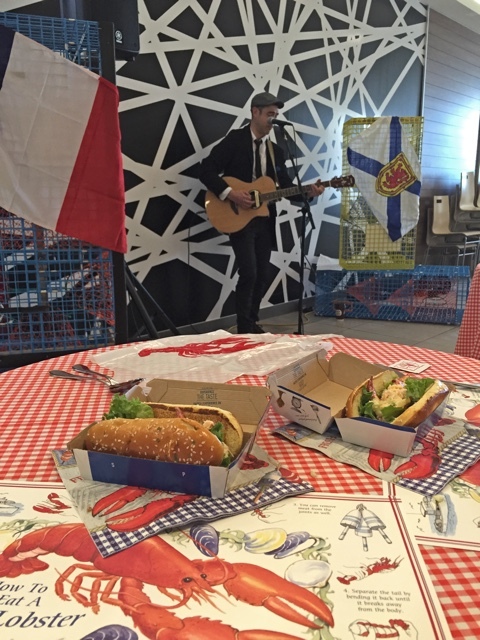 To learn more about the McLobster and its 25th Anniversary celebrations watch my video below! Special thanks to McDonald’s for feeding my lobster obsession with the tasty McLobster! All views and opinions expressed are my own. Good post. I tried one of the McLobsters and have to give credit where it’s due, it was a tasty lobster roll. I agree! I was surprised at how good it was! When this first came to McDonalds I was very skeptical, and still am haha. I don’t know if I will every be able to trust fish coming from McDonalds. What?? I didn’t know they have McLobster?? That’s so awesome! When I visit Halifax, I’ll definitely pass by and try it! That is something really new for me! It’s incredible how Mc Donald’s tend to customize their menu to follow the local taste and food choices. I have tasted the Mc Ramadan in Turkey, Mc Vegetarian and others, but never though about lobster, how fancy! Enjoy two for me please, I guess it will take a while to put the Mc lobster on the menu here in Singapore. Great post and video, Cailin! Thanks for sharing. I agree with Meg, we try to hit up McDonalds to at least be able to see what differences are on their menu in different locations! Had no idea how McD’s came up with new menu items. I’m glad to hear they listen to their franchisees and continue tweaking recipes. Looks delicious! This is amazing!! We’re actually heading to Halifax fairly soon so I’ll add a stop at McDonalds to my list :D Honestly, I think people overlook McDonalds when they travel – they aim for local food and the “local experience” but you can’t get more local than McD’s … I’ve found that in each destination and country there’s a new menu based entirely off the culture. Not a seafood eater but I guess if I did I probably wouldn’t be buying it from McDonalds. A great tradition of eating lobster on the eastern seaboard though.